Some people discover music, others are born into it. Jensen Seth Sebastian Freeman spent time in both the city and the mountains of Arkansas, in the heart of the South in a large, and very musical, family. When you hear Seth Freeman play guitar, you quickly realize these are not the same old licks, and he is one of those rare, soulful talents who has not only mastered his instrument, he has mastered the craft of making music. 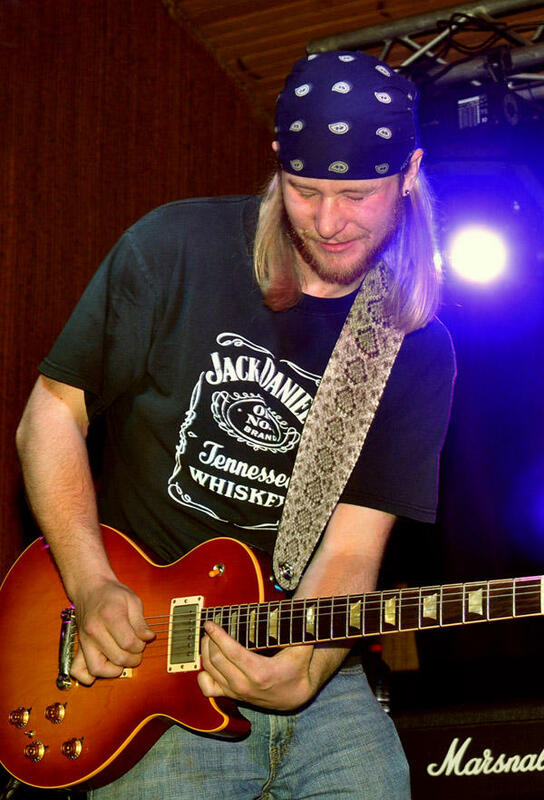 As a third generation guitarist, he has literally heard music since before his birth, and was taught to play music first hand, playing guitar at the age 4, in large circles at family reunions, stepping on stage at the tender age of 5. This natural talent not only grew up surrounded by live, mostly acoustic music, he grew up in a rich musical crossroads between the major American musical centers of Nashville, New Orleans, Memphis, Austin, Oklahoma, Dallas, Tulsa, St. Louis and Kansas City. The first leg of his journey has already taken him around the world including Europe, Canada, Alaska and in most of the United States.At 23, finally opening for names like Jonny Lang, Wes Jeans, The Blind Boys of Alabama, Damon Fowler and Devon Allman, he was on track to make his mark on the larger music world, when his life took a turn. He was in a serious auto accident in 2008 that left him with a broken back and Dr.’s saying he wasn’t ever going to walk or play again. After a miraculous surgery and full year of recovery in Alaska, he now has a 6” titanium rod holding his spine together and he walks, talks, writes, lives, breathes and plays music on a daily basis again, with a passion unlike any other. He loves to be challenged musically and he has risen to meet this physical challenge as well, with full force. Seth Freeman is not in a hurry to impress, nor does he play too loud. His guitar playing is roots based and yet it is fresh and original and very passionate. He plays all kind of styles specializing in driving blues and sweet tender ballads, but also including jazz fusion, haunting dobro, singer/songwriter, old gospel hymns, stone-cold country, roots rock, Ozark Mountain bluegrass, from nasty slide guitar to tasty Hawaiian lap steel. He proudly lists his Father and Grandfathers as influences, and they pushed him to be better, along with a host of others along the way on guitar, lap steel, slide, bottleneck & bar slide styles and Weissenborn.